Call us today for a healthy, beautiful lawn! Turf Solutions has over 15 years’ experience in lawn care in Lee’s Summit. Our technicians are state licensed and tested by the Missouri Dept. of Agriculture and have ongoing lawn care training to keep abreast of the latest turf products and safety issues to keep you and your family safe. 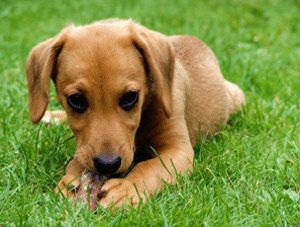 We are constantly seeking out the safest lawn care products on the market that have a low impact on the environment while also retaining a safe place for your children and your pets to play. A healthy lawn cools the environment, filters rainwater, prevents erosion and improves air quality. We test our lawn care equipment daily to make sure we’re putting down just the right amount of product during our lawn maintenance appointments. We want you to be happy with our lawn care service. If you’ve signed up for our full lawn care program and you have weeds or your lawn is not looking like you think it should, we’ll come out within 48 hrs and make it right, at no charge. 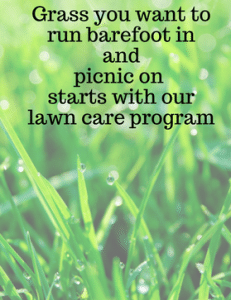 That’s our lawn care promise. We are not a huge lawn care franchise company where you feel like you’re getting lost in the crowd. Turf Solutions is small enough you can expect to talk to a lawn care technician the same day you call. If you try and do your own shopping for fertilizer and pesticides (buying too much or too little), handling and storage of materials, wrong timing of application, damage caused by poor application (stripes or fertilizer burn, missed weeds) can be some of the outcomes when you are unfamiliar with lawn care. Other headaches with doing your own lawn care may come from having to purchase expensive lawn care equipment and lawn care books, and making trips to the garden center. If you ever need help handling your regular lawn care needs, we’re just a phone call away. If need be, a Turf Solutions technician will come out and meet you on your lawn to help you get the best looking lawn you can have. Call or contact us today for a beautiful lawn every summer.